TORONTO ––March 14, 2018 —Silicon Valley Bank(SVB Financial Group, NASDAQ:SIVB), the bank of the world’s most innovative companies and their investors, today announced two milestones in its plans to further expand into Canada to better serve the country’s technology and life science companies and their investors. 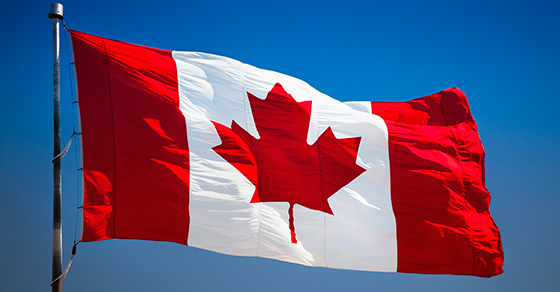 Canada’s Minister of Finance has issued an order authorizing Silicon Valley Bank to establish a lending branch in Canada, which will commence operations after it receives the approval of the Superintendent of Financial Institutions. The company also announced that it has hired Barbara Dirks to lead the Canada expansion and team, effective immediately. Silicon Valley Bank is dedicated to supporting the global innovation economy and has focused on helping address the unique needs of entrepreneurs, companies and investors in the technology and life science sectors for the last 35 years. The company offers a range of specialized financial services through locations around the world, and has served the Canadian market on a cross-border basis for several years via its US operations, supporting clients such as Drop, Lightspeed, Shopify and Xenon Pharmaceuticals. With $51 billion in assets and more than 2,400 employees globally, SVB strives to improve the probability of its clients’ success at every phase of their lifecycle. In May of 2017, Silicon Valley Bank applied for the regulatory approvals required to establish a branch in Canada. Once the Superintendent’s approval is granted, Silicon Valley Bank will be able to provide in-market commercial banking solutions to private and public technology and life science companies and their investors across Canada. Silicon Valley Bank will continue to provide additional cross-border banking services to Canadian companies that have, or seek, a US presence. Dirks joins Silicon Valley Bank from the Royal Bank of Canada where she was Senior Vice President of Network and Advisor Strategy in personal and commercial banking. Previously, she was Chief Operations Officer of the North American commercial banking group at Bank of Montreal, where she worked in various roles for 15 years. Dirks earned an MBA and bachelor of laws from the University of Western Ontario, as well as a bachelor’s degree in political economy and economics from the University of Toronto. She is a member of the board of governors for the Royal Military College of Canada. As Head of Canada, Dirks will provide leadership and strategic oversight for all of Silicon Valley Bank’s activities in Canada, including business development and operations. She will also chair the supervisory committee for Silicon Valley Bank in Canada. For 35 years, Silicon Valley Bank (SVB) has helped innovative companies and their investors move bold ideas forward, fast. SVB provides targeted financial services and expertise through its offices in innovation centers around the world. With commercial, international and private banking services, SVB helps address the unique needs of innovators. Learn more at svb.com. ©2018 SVB Financial Group. All rights reserved. SVB, SVB FINANCIAL GROUP, SILICON VALLEY BANK, MAKE NEXT HAPPEN NOW and the chevron device are trademarks of SVB Financial Group, used under license. Silicon Valley Bank is a member of the FDIC and the Federal Reserve System. Silicon Valley Bank is the California bank subsidiary of SVB Financial Group (Nasdaq: SIVB). SVB is currently not authorized to carry on business in Canada and offers lending solutions exclusively cross-border from the United States.